There once was a time when the word “metal” called to mind a chemical element, such as iron, aluminum, or tin, and not the loud, fast-paced music of distorted electric guitars. Here are two stories about the chemical kind of metal that played a part in my memories of 1950s Sharpsville, Pennsylvania. We welcome your additions or corrections. 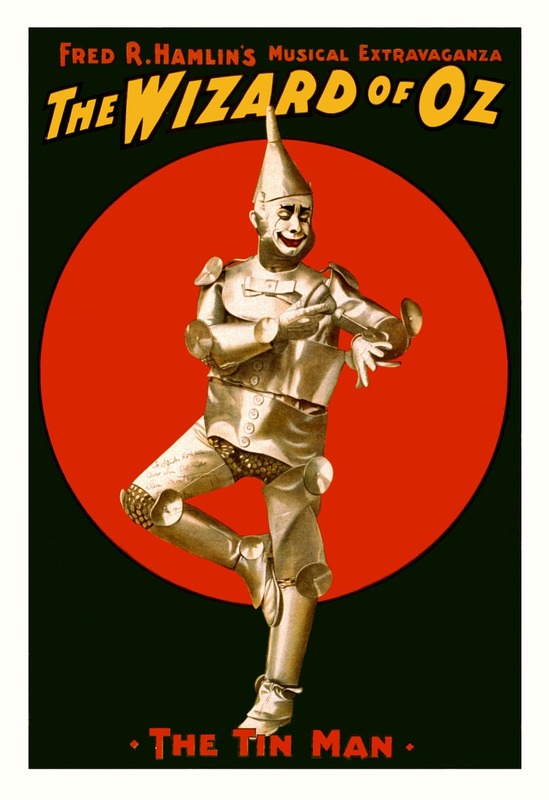 The Tin Man in the “Wizard of Oz.” Source: Pixabay. One of my favorite movies is The Wizard of Oz, starring those memorable characters that Dorothy met as she tried to find her way home to Kansas from the Land of Oz. One of those, the Tin Man, would remind me of a tin shop that was located in the alley behind my childhood home in Sharpsville. It’s strange how the mind can connect two entirely different subjects by the presence of one thing in common. In this case, tin. Between our house on Second Street and the Casino, there was Y-shaped cinder alley where we kids sometimes played baseball. One leg of the alley led to Main Street and the other to North Third Street. The tin shop I remember was a black wooden two-story building among several similar outbuildings, dark and mysterious as to their use, although I recall that one of them had a large sliding door and was used as a garage. 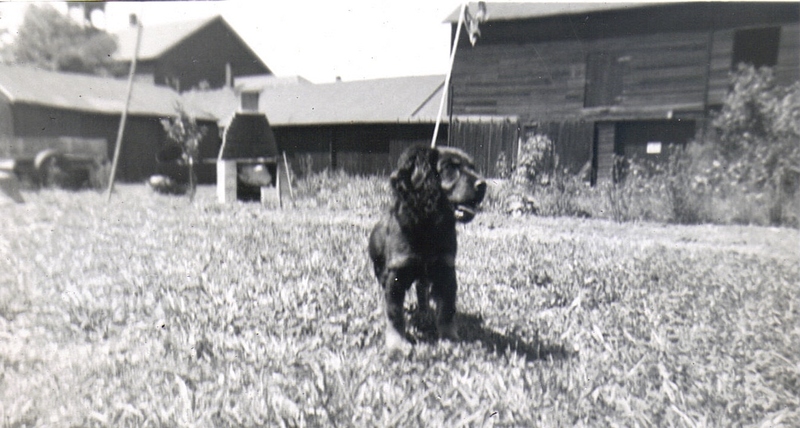 Angel family dog in backyard of Second Street home; alley buildings in background, May 1954. Donna submitted a photo of the tin shop to the familyoldphotos website and wrote that the tin shop was owned by a Mr. Clark. “His son was in the Breed motorcycle club [which] taught my older brother to throw knives.” It was eventually torn down by the owner of Cattron Communications, a company that, in the 1970s, had its home office in what was once the Angel family home and print shop on Second Street. Google Maps Street View shows that the space is now cleared of most of the old buildings and houses and completely paved over. The place looks tidy now but lacks the character it had in the old days. Maybe the tin shop still sticks in my imagination so many years later because it was a silent relic of an even more distant past. Or maybe because the Tin Man would have been at home in that place during its heyday. Scrap yards or junkyards of old now have the more respectable name of “recycling centers,” but they achieve the same useful purpose of providing a place to properly dispose of unwanted metal material, such as cars, household appliances, and other products, large and small. Some of us kids would go about town collecting smaller metal items with the goal of turning our finds into the local scrap yard for some spending money. Magnet souvenir from J.r. Goldberg Scrap Yard., Sharon, PA, c. 1950s. [S]crap metal collecting was one of my ways of making extra money. Every time I found a piece of metal I would add it to my stash until the pile was big enough to take to the scrap yard, usually J. B. Goldberg Co. in Sharon. Usually, Dad would drive me there. Incidentally, in front of me as I’m typing this e-mail is a magnet the company gave out as advertising items. The engraving on the magnet depicts, “J.B. 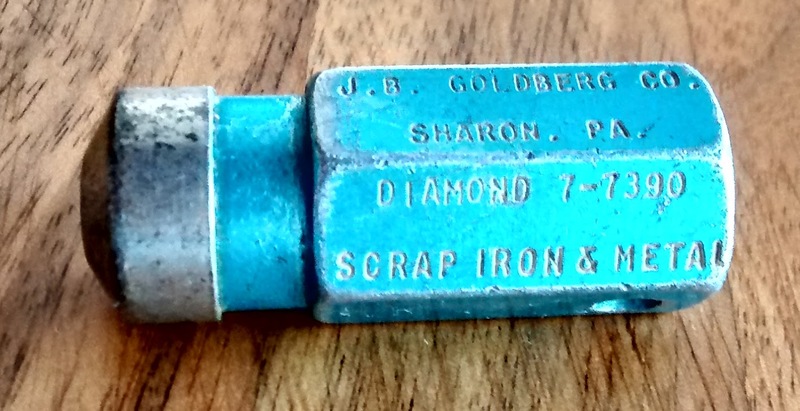 Goldberg Co. Sharon, PA -Diamond 7-7390 – Scrap Iron & Metal.” I’ve had the magnet about 60 years now. 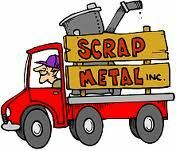 The junkyards, then and now, use the scrap metal to re-make metal – a process which is more cost-effective than producing new metals. In the 1950s we kids didn’t think about this aspect of junkyards or that they benefited the environment in the long run. We just enjoyed the treasure hunt and the little bit of money we earned for our efforts. My name is Pat Pannelle and I grew up in Sharon, PA. Back in the 1950s. Some of the best times of my teenage years was spent at Angel’s Casino. I still have a pass from the casino that they gave out to let us reenter if we left and was planing to return. Out of all the record hops in the valley I felt that the one at Angel’s Casino was the best. Brings back a lot of memories of good times and good friends. Growing up as a teenager in the 50s in the valley was the best of times. Unless you were there to smell it, it is hard to explain to someone what it was like. I feel that I was fortunate to have been a teenager when rock and roll, DA hair cuts, and 57 Chevy’s were the rage. I have been trying to locate a picture of Angel’s Casino with out any luck. I would also like to know the history of it. I would be most appreciative if you could help me with any of these. Hello Pat, I was delighted to receive your good memories of Angel’s Casino, as I am the daughter of the then owner of the Casino, August Angel, and also remember those fun times. Your note is copied to one of the “Angel’s Casino” pages, so that Casino readers will see it. There are 3 narratives about Angel’s on this website, (1) describing the early years, (2) the record hops, and (3) usage by other groups, including weddings. Or you can just click on the titles containing the words “Angel’s Casino” in the listing at the top of any page. After clicking, you’ll have to scroll down a bit to see the story.